Industrial jobs can be dangerous jobs, but that doesn’t mean workers should have to put their lives on the line just to bring home a paycheck. Sadly, thousands of workers are killed in workplace accidents, and this is particularly tragic considering most of these accidents could have been prevented. 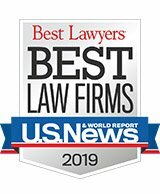 If you or a loved one has been hurt in an industrial accident, or you have lost a family member to a workplace wrongful death, Blizzard Law PLLC can help. Many industrial accidents can cause life-changing injuries, such as severe burns, spinal cord injuries, brain damage, and paralysis. In some instances, industrial accidents can also be fatal. If you’ve been injured in an industrial accident, you may qualify to pursue compensation to cover medical bills, the costs of long-term care, pain and suffering, lost wages, and other damages. If your loved one was killed in an industrial accident, you may be able to obtain compensation for loss of companionship and loss of future earnings, among other types of compensation. Not all cases are destined for the courtroom. Sometimes industrial accident lawsuits are successfully resolved out of court. At Blizzard Law PLLC, we look after your interests and help you understand your legal options. 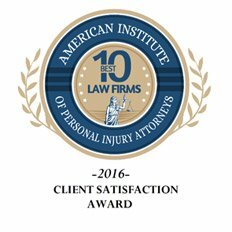 Throughout the entire process, you and your case will receive personal attention from our attorneys and staff. If you have been injured or lost a family member due to an industrial accident, the trial lawyers of Blizzard Law PLLC are here to help. For a free case review with an experienced industrial accident lawyer, contact us online or by phone.